We believe our classes our special in that they are kept small (never more than 6 dogs), and formed from the best of other great courses – for example, the Widget's Farm Puppy Class is influenced by Ian Dunbar’s Sirius Puppies, Lincoln University's “Lifeskills for Puppies” and Chirag Patel’s Practical Puppy Course. And we assess the different abilities of each dog and owner as we go along and suit the training and interactions accordingly. However the most important thing is that training classes at Widget Farm are fun! Fun for dogs and fun for owners. Innovative, small classes that aim to be fun for both puppy and owner. We help you train the puppy with the lifeskills they will need for living happily within a family and growing up to make good choices. We also cover all the popular skills such as training loose lead, fast recalls, "leave", vet handling etc. Eligibility: 8-16 weeks old and one week after their first vax. We want you to start training asap so a 10% reduction if you sign up to a course before you have the puppy - do get in touch and ask us for the discount code. Widget’s Yoof Club – drop-in Saturday training with changing topics (£10/session) - Open to all of our Adolescent Class Graduates. A fun class that proves that you can teach an old dog new tricks! This class helps you with all the niggly issues that you’d like to get under control and includes obedience issues such as recall, loose lead, greetings and more. It also includes behaviour advice to help you and your dog understand each other. Eligibility: open to all dogs over 2 years. Some new entrants may require a 121 session first to check suitability for a class environment. Open to any of our existing fear-based behaviour clients looking for further rehab opportunities in a managed situation. 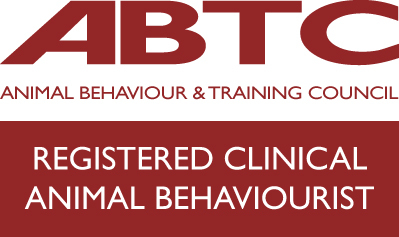 New clients interested in these classes will need to undertake a behaviour assessment first. Open to any level, age and breed.